Varieties of Mens underwear and socks. I thought to take few photos of girls but thought may be toooooo extreme so for this time only mens. Any request to see gals, I will take some photos so let me know. Back in until few years ago all socks were WHITE, those sports kinda thing you know. But check this variety out!!!!! Well next time, promise to take some gals. 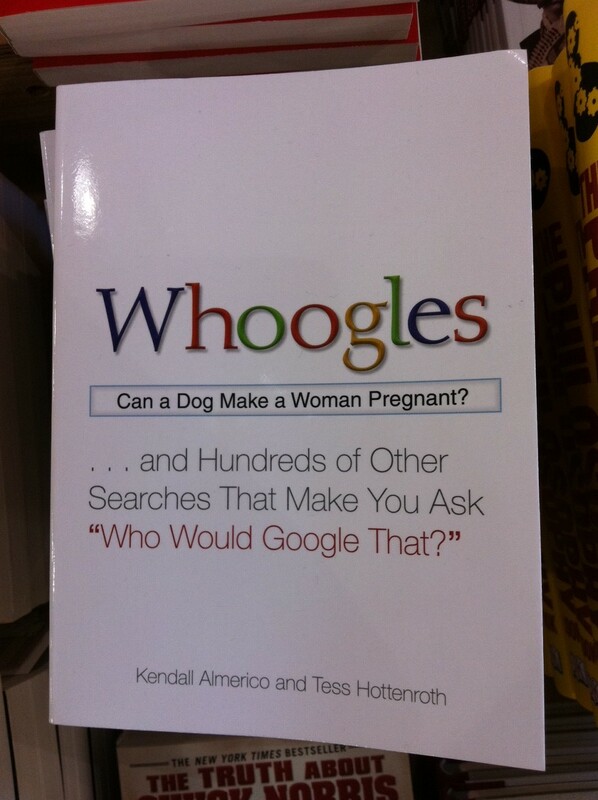 Have you guys seen this book “Whoogles”? Yes, you basically guessed it right! It’s a book talks about when you wonder while searching for a words in Google, Who would Google such weird word like this. I had to laugh, obviously not a serious book but may be good once in a while to laugh or might get scared. Hehehehehehe. I stopped by the The Anti Mall LAB http://www.thelab.com/ today for quick research and coffee break at Gypsy Den http://www.gypsyden.com/. They got this awesome Banana Iced Moca which I’m addicted for over 10 years. 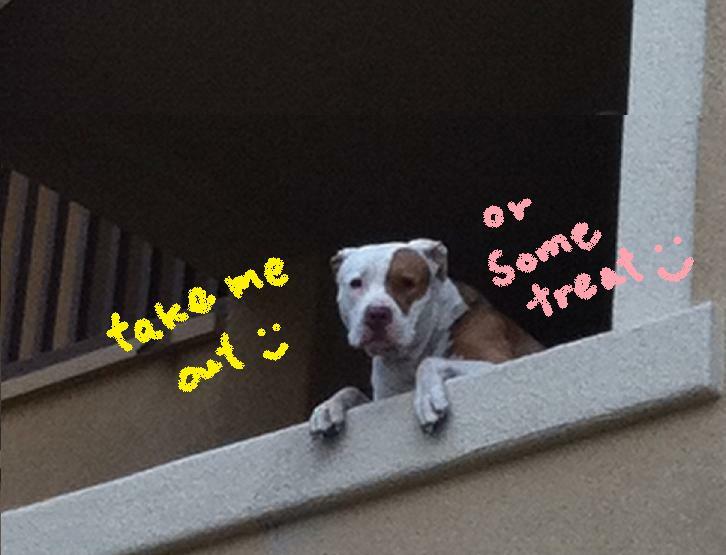 Gotta try:) Well, picture I took wasn’t actually from the LAB or Cafe Gypsy Den. While I was walking I saw this pretty, gorgeos flower and old classic car. Did you guys all see Lenny Kravitz in NBA All Star Game?? He is so hot, I mean he is still and always hot. Well I don’t see much of NBA that often but I thank god for letting me watch NBA today!!! Awesome! And here is wide poster I found in LA of NBA star! 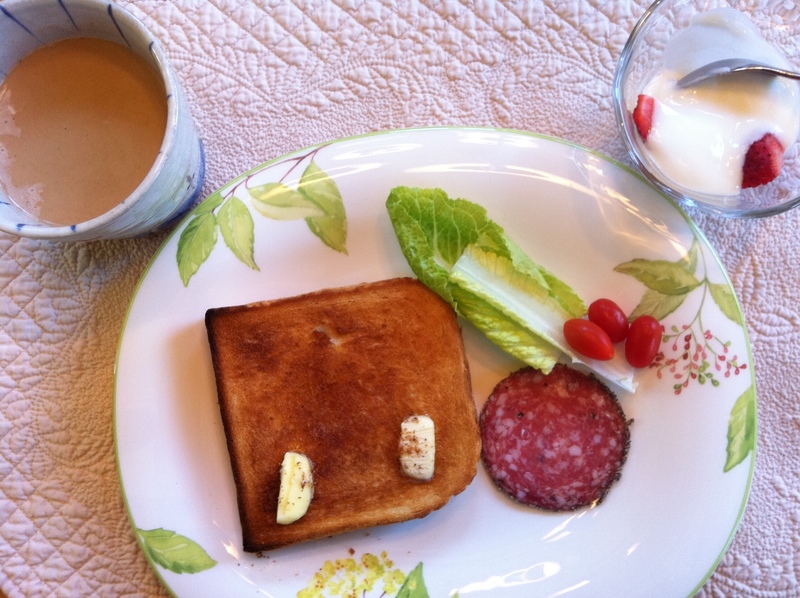 Here is my breakfast. Nice & healthy, right! Here is new Red Bull truck I saw near our office in HB. I love the design and color of this truck. Some cool stuff but wonder who drives this monster???? 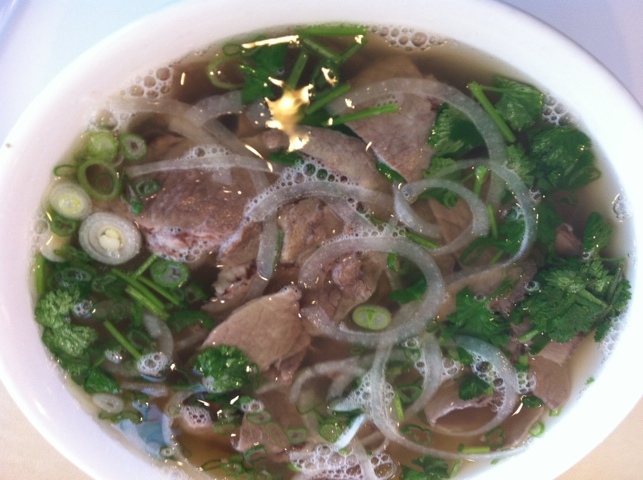 Have you all tried this Vietnamise noodle. Noodle are made based on “Rice” and choice of topping. I got few slices of thin beef on top of the noodle. It sire does warm you up in a cold day. Gotta try everyone! 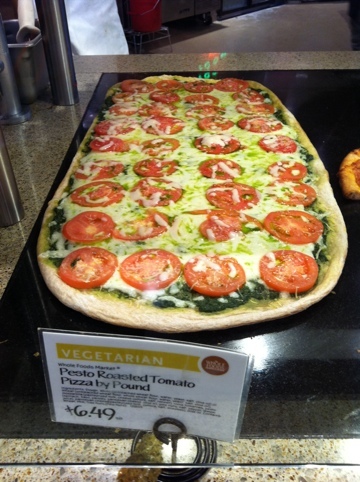 Veg—Pizza! Looks so good, should I buy this now or save it for next time. What would you do if you’re Whole Foods now facing this gorgeous pizza?? ?